After upgraded to Ubuntu 18.04 from Ubuntu 16.04, you may found that the default Nautilus file browser lacks ‘New Document‘ option in its context menu. 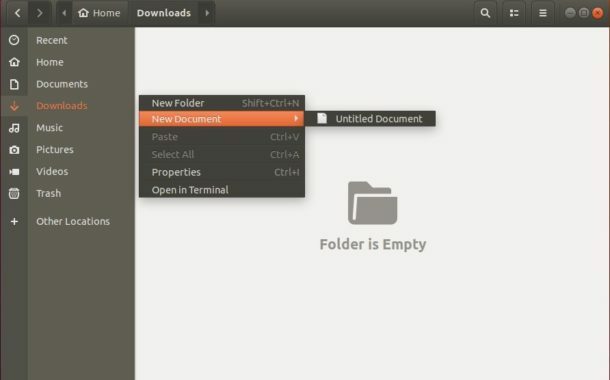 To get back the ‘New Document’ option, you can create a empty document in the Templates folder. And here I’m going to show you how. 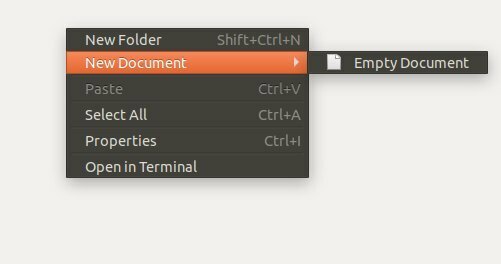 While ‘New Document’ option is not available, you need to create a template in command line. 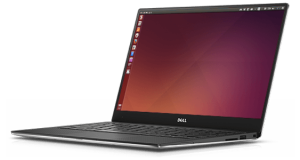 The command creates a document file called Empty Document in user’s Templates folder. After that you can see the New Document -> Empty Document option (see the picture above) by right-clicking blank area in file browser. Note that the backslash in the code tells that the space following it is part of the filename since the shell treats whatever comes after a space as a separate argument. Thank you so much for this hint! Works great. But now I have two Empty and Untitled document options. How do I remove one of them?? You can additionally add options for different file types as well. Wow, nice and simple. Thanks! Ah, makes so much sense. Now I am actually fine with them removing the previous feature. How to remove an entry on the templates? Simply open file browser, and remove the file from user Templates folder.